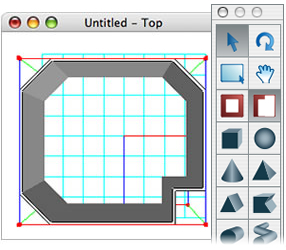 Microspot provides powerful home interior design software for the Mac platform. Our award-winning Interiors software was developed specifically for home interior designs. Visualize a new living room design, a larger bathroom, a brand new kitchen and more. Turn your ideas and resources into an interactive 3D design. If you are searching for a powerful and low cost home interior design software program for the Mac computer, look no further. Check out our gallery for some examples. Use our advanced wall drawing tools to layout the shape of your room, color or texture walls, floors and ceilings, add windows, doors and lighting, then simply drag and drop in the furniture you require, finally why not export a hi-resolution rendered image or create a walk through movie! The home interior design software application Interiors makes it simple for even the 3D novice to quickly produce impressive results. Interiors is multi-threaded and optimized. Simply put, it means Interiors performs faster. It's not only the interface that we have optimized, the latest version has been fine tuned under the hood to give you the fastest Interiors yet. 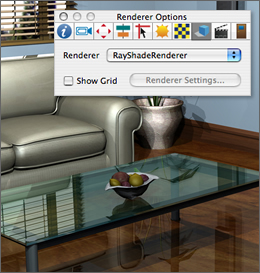 The Microspot renderer is now multi-processor aware so if you have more than one or a dual-core processor the renderer will take advantage and use them all, the result, rendering times are slashed. Look for more in-depth details about creating home designs with Microspot products on our products page. 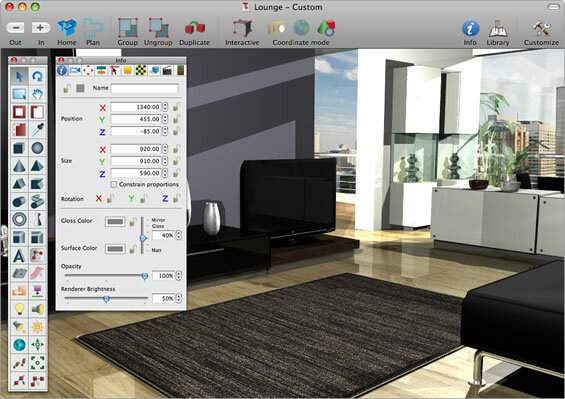 Look for more in-depth details about our software for home interior designs on our Interiors Professional product page.